IT App & System Experience | Blue Mountain Data Systems Inc.
1994 to Present Responsible to the Office of Technology and Information Systems for information systems architecture, planning, applications development, networking, administration and IT security, supporting the enforcement of Title I of the Employee Retirement Income Security Act — ERISA. Within the EBSA, Blue Mountain is responsible for design, development and support for its various enforcement database management systems, as well as all case tracking and customer service inquiry systems. Blue Mountain also provides IT security services to the EBSA, in the form of FISMA Assessment and Authorization, System Security Plans, Risk and vulnerability assessments, monitoring and investigation support. 1998-2009 Developed the Chancellor’s Administrative Records System, a correspondence document management system to automate manual workflow processes within the Chancellor’s Office, as well as to accommodate the disposition of correspondence to external users throughout the University. 1993-1997 Worked with the VA Health Eligibility Center to develop a workflow automation system for adjudication of veteran claims against reported income. Components of the system included customized Visual Basic workflow applications, Kodak 900 series high-speed scanner, 50 Gb and 90 Gb jukeboxes, high speed Docuprint network print services, and connectivity with the VA MUMPS database environment. An Oracle indexing database resides on an Alpha 1000A cluster configuration for high availability. 1995-1999 Contracted to design and subsequently selected to implement an imaging system to scan, index, search, and manage classified and unclassified correspondence via printed routing sheets containing updated billet codes of individuals who receive and sign for classified documents. The system is capable of storing 1.8 million pages of correspondence. Other functions include user validation, document classification, OCR, and workflow. The system was developed to meet DOD 5200.28-STD level C2 compliance. 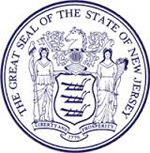 1995-1996 Designed and assisted in the implementation of a UNIX based image and data capture front end to a Filenet imaging system and Unisys mainframe to automate the receipt and input of all NJ State tax forms, employing the use of forms recognition, OCR/ICR data capture, verification, indexing and storage of over 30,000 images per day. The system consists of five Kodak 900 series scanners, seven Symbus InScript data capture engines, two remittance servers, Sun Microsystems UNIX servers and 37 verification workstations to enable the State to process incoming returns in a timely fashion. 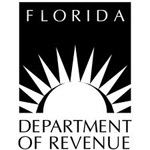 1996-1997 Designed and performed engineering management for an enterprise wide imaging system to automate the receipt and input of all Florida State tax forms. The system consists of 3 HP 9000 Series 800 UNIX based Business Servers, 2 HP 200T Jukeboxes, 2 Unisys DP500 Power Encoders for processing checks and coupons, 2 Kodak 923D scanners, and 30 data capture workstations. The imaging system processes over 60,000 images per day for a user community of over 150 personnel. 1997 System design and proposal development for a revenue processing system. 1996 System design and proposal development for a revenue processing system. 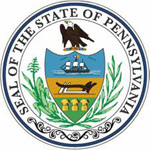 1993 Consultancy to evaluate the requirements of those departments who provide services to PHH customers and to determine, justify, and defend an appropriate imaging and/or COLD (Computer Output to Laser/Optical Disk) solution to improve customer service. Interviews were conducted with key personnel in each relevant division. Conducted a cost feasibility study to justify an appropriate return on investment.